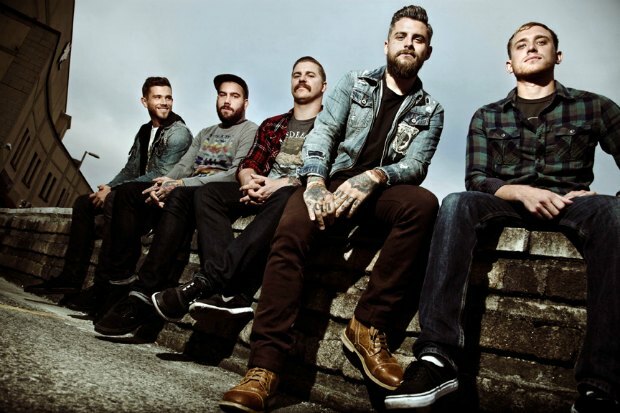 On Friday I was pleasantly surprised when I woke up and heard that Vanna was streaming a new song. I immediately hopped online and listened to the song, and I was pleasantly shocked and blown away by the song, and really restored faith in me that Vanna was here to stay after the departure of Evan Pharmakis and Chris Campbell. “Year of The Rat“ is the first to be released off of Vanna’s upcoming album, The Few And The Far Between which will be released March 19th via Artery Recordings/Razor & Tie. The Few And The Far Between will be the follow-up to 2011’s, And They Came Baring Bones and was recorded with producer Jay Maas in Boston last year. “Year of The Rat“ is a great track that starts out with a drone intro, but then the band kicks in, and it sounds like the band is in full gear. The chorus comes in next, and this is the only notable difference between the new material and old material as it features the clean vocals of Joel Pastuszak. Pastuszak’s voice meshes perfectly with the band’s sound, and left me thinking that he was the perfect replacement for Pharmakis. “Year of The Rat“ is a great track. I will definitely be looking forward to more material from Vanna and will be a first day buyer when The Few And The Far Between is released.